Pride of Ownership, original owner. Premium, Private, Long Lake View. Desirable 3BR/2BA/2CG home features: great room, split design, separate dining, galley kitchen, breakfast nook, cathedral ceilings, plant shelves and sky-lite. Glass sliding doors from the dining room open to the Florida Room or Bonus Room, 17 x 12. The dramatic lake-view from this home will entertain you: birds, turtles and list of different wild life. The private lake view is enjoyed from the entry, great room, Florida room and dining room. The Florida room adds the extra space for family and friends to get together. Recent improvements: A/C 2018, updated master bathroom and microwave 2018. No drive through traffic. Creekwood amenities include a community swimming in pool, tennis courts, basketball court, dog park. Enjoy low HOA fees. No CCD fees. 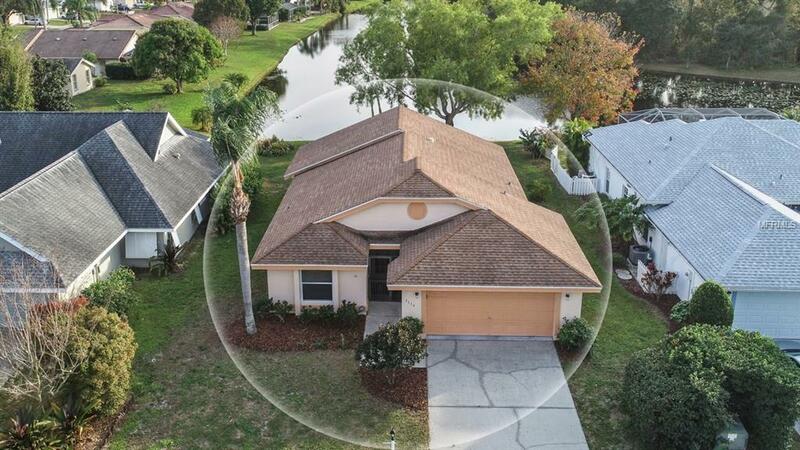 Minutes from I-75, Braden River High, Braden River Middle School, Tara Elementary School, Manatee Technical School, churches, numerous shopping plazas, Jiggs Landing, Lakewood Ranch, dining and entertainment.